Located directly on the Snake River, Idaho Falls, ID is a great weekend excursion or a welcome stop over on your way to or from Big Sky. Idaho Falls is located southwest of Big Sky, a distance of approximately 160 miles. Activities in the Idaho Falls area include golf, fishing, hiking, swimming, rafting and much more. 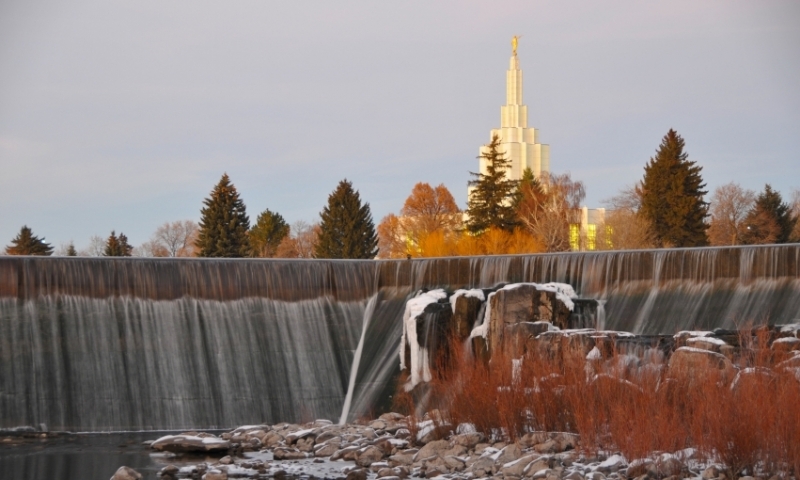 Attractions in the Idaho Falls area include museums, a zoo, and a cultural and historic district. The Snake River runs right through downtown Idaho Falls, over a 1,500 wide dam, giving the town its name. Idaho Falls has a population of just over 50,000. 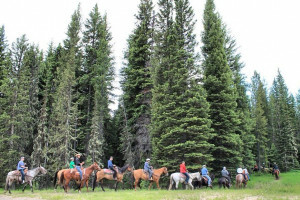 Although it is a destination all in its own right, it is also great stopping point for those on long journeys, heading to the Upper Yellowstone region and Big Sky. Idaho Falls, Idaho is located in the heart of the upper Snake River Valley in eastern portion of the State. The city is situated in a very central location sitting right on I-15 and within hours to many winter and summer recreation areas, and state and national parks. Flights into the Idaho Falls airport are generally less expensive than flights into surrounding resort towns, and flights frequently stop in Salt Lake City, UT before reaching their final destination. Within Idaho Falls, ID there are numerous accommodations and eateries to choose from. You can choose to stay in 4 star accommodations with great views of the Snake River and eat at luxurious restaurants. Or if you are traveling on the budget, check out the less expensive motels and hotels, and grab a burger or taco at one of the fast food drive ins. In historic downtown, near the Falls, there are also many small shops and restaurants. On the outskirts of town you will find several retail shopping malls. The city is also home to Eastern Idaho Regional Medical Center, many banks, service stations, a library, and several parks. Four golf courses are located within minutes of Idaho Falls. Six other courses can be found within a 50 mile drive of Idaho Falls. The Idaho Falls Aquatic Center is a modern indoor public facility which is just the place to take swimming lessons, fitness classes, or just relax and paddle around. Camping opportunities abound in eastern Idaho. Whether you select campsites located in the Palisades Reservoir region, Island Park, or choose to head west into the Sawtooth National Recreation Area. An extensive trail system is available through-out the region for hiking, mountain biking, or horseback riding. Eastern Idaho has plenty of room for hunters and permits are easily available. Varieties range for trophy elk, mule deer, and antelope to bear, moose, upland game birds, and waterfowl. 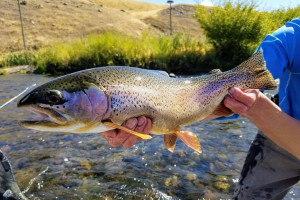 Idaho Falls is a hub to some of the finest blue ribbon trout waters in the world. The Henry's Fork, the South Fork of the Snake, the Madison, the Silver Creek, the Beaverhead, the Big Hole, Henry's Lake, and Yellowstone are all within a two hour drive or less from our city. Many other small streams, rivers and lakes offer excellent fishing without the crowds. The largest population of nesting bald eagles in the lower 48 states can also be seen on the banks of the South Fork. You'll also view abundant wildlife such a moose, deer, bear, otter, elk, and an occasional mountain goat. You can choose 1/2 day, full day, or longer trips. You can make your selection form rafts, kayaks, canoes, drift boats, or even jet boats. The Middle Fork of the Salmon River remains Idaho's most famous stretch of river. This river is now federally protected as a "wild and scenic" river. The Snake River below the Palisades Reservoir, as well as just outside of Jackson, Wyoming, offers excitement and splendor. For the cross-country skier, groomed trails are located within the national forest boundaries and on private ground. Close by Alpine Ski areas include: Kelly Canyon, Grand Targhee and Jackson Hole. An extensive network of groomed snowmobile trail is maintained throughout Eastern Idaho. This playground includes both public and private lands. Several shops and resorts rent snowmobiles and the necessary gear and offer guide service for day trips. This Idaho Falls district consists of a number of cultural facilities including the Willard Arts Center/Colonial Theater, the Museum of Idaho, the Eagle Rock Art Museum, Actors Repertory Theater of Idaho, the public library, as well as a number of commercial galleries, antique stores, dance studios, and public art. This relatively new museum offers exhibits, events, classes and performances. The Museum of Idaho is committed to the preservation of natural and cultural history in Idaho. Current exhibits include giant insects, Lewis and Clark in Idaho and Bia-Dekape, the Columbian mammoth. This Idaho Falls museum has over 90 collections on exhibit, including: dolls, bears, antiques, trains, coins, stamps and military memorabilia. This 14-mile park along Snake River is a popular spot for walking, running and biking. The park also features a statue of a Snake River fur trader. Covering over 3,000,000 acres of southeastern Idaho, the forest is home to a wide variety of wildlife including the trumpeter swan, bald eagle, mountain goat and big horn sheep. Recreational activities in the area include hunting, fishing, hiking and camping. If you are on your way to Big Sky, Montana from Idaho Falls, ID follow US-20 east to US-191 north. The drive is a little over 3 hours and takes you right along the western border of Yellowstone National Park.